Producer, Ryan R. Johnson, began his career as the body double for the Green Power Ranger in the Might Morphin Power Rangers, then interning for Peter Guber’s Mandalay Entertainment on the Sony lot then being hired on first as an assistant for both Ori Marmur and David Zelon, moving on to being the head of development overseeing such projects as INTO THE BLUE, THE SCORE, BEYOND BORDERS and ENEMY AT THE GATES. Johnson then started Pretty Dangerous Films making 18 films in less than 4 years including Cannes headliner ‘The Heart is Deceitful Above All Things’ starring Jeremy Renner, Asia Argento, Peter Fonda, Winona Ryder and Ben Foster; and David Mamet’s ‘Edmond’ starring William H. Macy, Mena Suvari, Denise Richards and Julia Stiles. Johnson then went on to produce ‘Chasing 3000’ starring Rory Culkin, Ray Liotta, Lauren Holly, and Willa Holland which was about baseball legend Roberto Clemente and was recognized at The Baseball Hall of Fame in Cooperstown New York. Johnson was brought on as President of Production for upstart 50 million dollar Film Fund, Night Fox Entertainment, which currently is in prep on ‘King of the Kastle’ starring Clive Owen and Asa Butterfield and a biopic on legendary R&B producer Teddy Riley. 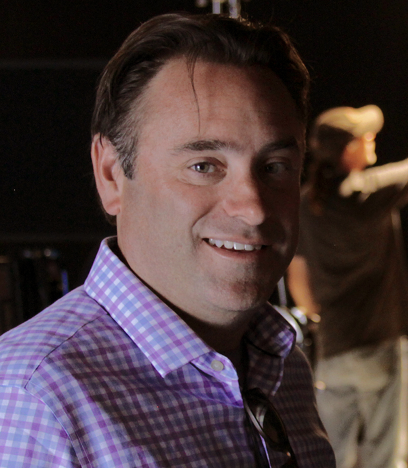 In 2013 Johnson founded The Film House with Michael P. Haggerty to distribute films worldwide with regional releasing domestically, and full foreign sales and ancillary distribution globally. The Film House partnered with Dr. Alain Kayleros of Nanoscale and Governor Andrew M. Cuomo to create production studios in Syracuse New York and in Albany New York taking advantage of the aggressive New York State tax credits and New York is Open for Business Campaign. The Film House will open a progressive Film School in 2015 that incorporates the students curriculum with the filming activities of The Film House, giving students ‘careers’. With the incentives, facilities, sales and banking team, The Film House is in the process of launching an aggressive slate of films and television including: THE OPIUM WAR starring Gina Carano and Stephen Langs, BREWERS BOYS about the legendary 1966 Los Angeles Municiple Champion team that wins during the Watt’s Riots, and 8 of 9 starters went on to be Major League Baseball All-Stars, Chase Backer Show airing in syndication on CBS New York affiliates, EVERY LAST DROP, the George Baxter story following the lone lawyer who took on the Blood Industry exposing a conspiracy to cover HIV non-testing in the Blood Industry and won, The Teddy Riley Story about legendary music producer/performer Teddy Riley, and TAKING BACK VEGAS by writer/director Peter Iliff (POINT BREAK, VARSITY BLUES) about the greatest heist ever that hasn’t happened ‘yet’, Johnson is a double major graduate of Whittier College and UCLA’s Producer’s Program.